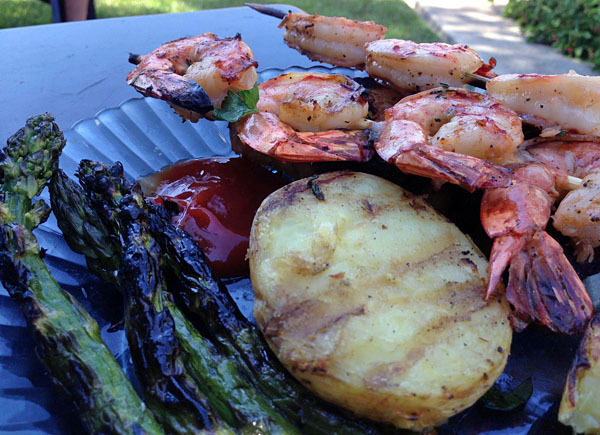 A little while back I wrote about “summer picnic,” Nadia’s favorite dish of grilled shrimp and asparagus (abd sometimes other random grilled meats and veggies) with toasted bread. We recently started limiting our bread, pasta and sugar intake, so instead of the bread, I just upped the veggies and the meat. I purchased the asparagus, red bell pepper and corn from casinoin.us the Laguna Niguel Farmers Market. 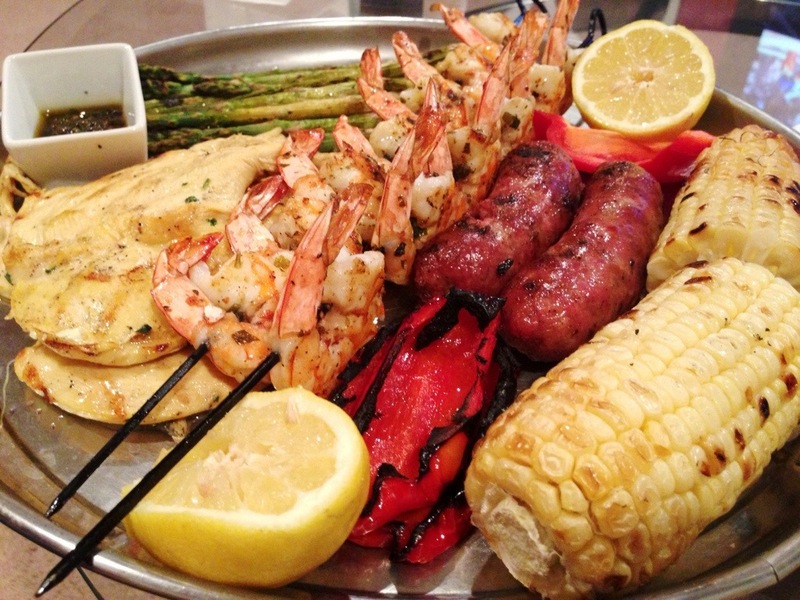 The chimichurri on the shrimp, the beer-marinated chicken and chorizo Argentino came from Puerto madero in Santa Ana. 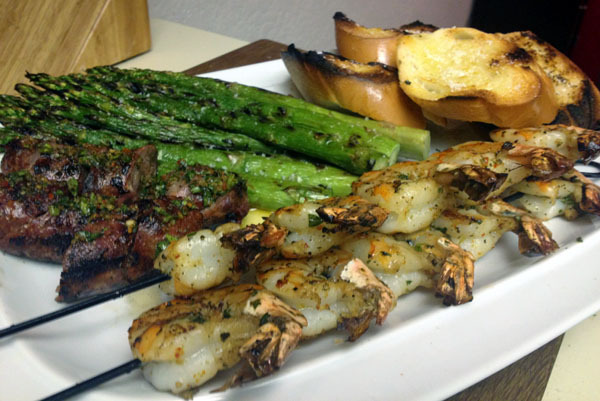 Everything was finished with a spritz of lemon.